The transition to value-based care for our healthcare industry is paired with the navigation of challenges related to shrinking margins and changing payment models. Analytics is often touted as the solution that will uncover new insights, drive cost reductions, improve quality, and enable competitive differentiation. Though investment in healthcare analytics technologies has skyrocketed in the past few years (estimated at close to $20 billion), organizations still struggle to realize a tangible return on their investment. Instead of a singular technology product, analytics should be treated as an integrated approach to create an information architecture that provides meaningful insights that drive actions. Rather than building around fancy dashboards and functionality the product offers, organizations should shift the focus to creating operational capabilities that vendors have to build against. The following are 10 key recommendations to keep in mind when selecting an analytics platform for your healthcare organization. Outline key operational capabilities that the vendor partner must enable for your organization. As you begin with the end in mind, consider outlining what are the key strategic goals your organization must accomplish within the next 12, 24, and 36 months. What are some of the key operational outcomes that must be achieved to realize these goals? What are key market conditions that would be influencers to the roadmap? A few examples are: your organization aims to capture market share by offering competitive services and offerings; referral management and managing out of network utilization are areas of concern; or entering into value-based contracts is imminent or has already occurred. Define key operations focused use case scenarios. Clearly outline the key problems for which you want to solve and/or the new insights/trends you want to gather from the analytics platforms (e.g., trends in referral patterns) and ask the vendor to demonstrate their solutions that are specific to these needs. This allows you to shift away from general “sales demonstrations” to tailored, meaningful discussions on how the technology platform will address your needs and challenges. It also offers insight into what workflows and capabilities for which you have to plan within your organization to effectively realize the value from this investment. Utilize the information framework as a blueprint to drive the technology selection process. Consider building a data integration roadmap that outlines the data types that would be integrated into the analytics platform and in what sequence and frequency. The framework will identify how your organization can monitor and address variability when the quality of data is in doubt. This framework acts as a blueprint against which existing and new technology vendor partners in your portfolio have to deliver.. Establish a multi-disciplinary selection council that conducts product assessment from varied perspectives (technical, clinical, financial, administrative etc.) Leverage the data governance framework to provide input and oversight for product selection so that there is a clear sense of how it will be operationalized. Develop a detailed product functionality assessment listing and a weighted scorecard that assist in objective assessment of product functionality. Create a detailed outline of product functionality that is critical to activation of operations use cases. This can include, but is not limited to, a detailed outline of reports, dashboards, work lists, business intelligence logic, need to integrate with other systems that will consume the data, etc. Consider developing a scorecard that will assist the selection team to objectively evaluate each feature. Collaborate with the vendor partner to develop a future state solution framework. Successful implementation of analytics tools and the ability to generate actionable information are highly dependent on effective integration with the current technology portfolio. Consider creating an architecture notebook outlining the current technology footprint of your organization, where relevant data pools exist, data needs, and limitations. Outline known data integrity concerns that the analytics vendor must respond to during demonstration sessions. Understand vendor data consumption capabilities and future roadmap. As your operational needs grow so will the need to consume new and varied types of data sources. Evaluate the varied data types (claims, payer, clinical) that the product can ingest today and the format and frequency of it. Does that align with your information architecture? Examine known limitations and mitigation plans. Consider the vendor’s plan for ingestion of additional data types such as patient provided data, device integration, pharmacy, retail etc. Review the vendor product and services roadmap to assess long term impact against your organization’s strategy. Being an emerging technology area that is constantly evolving, most vendors are still developing various functionalities. As a result, it is not uncommon that vendors end up over promising and under delivering. Carefully assess the vendor product and services roadmap and compare against your organization strategy. Does this offer an opportunity for a development partnership or at risk arrangements for shared commitment and success? Compare the vendor implementation approach against your operational needs. Most times analytics projects become too complicated too fast. Consider instead an incremental build approach that is problem focused. Evaluate if the products’ implementation approach allows for a phased build and is it focused on providing immediate value. Outline key external dependencies that impact speed to market. Evaluate if the proposed implementation roadmap allows you to position it as a value add service for your members and stakeholders within the first 60 to 90 days. Develop total cost of ownership ("TCO") model for the product to be implemented, integrated and operationalized within your organization. Additional cost factors can include data sources integration costs, infrastructure maintenance, organizational resource needs for implementation, governance and data integrity oversight etc. Be sure you have a complete picture of short and long-term costs to avoid troubling surprises when it’s too late. As you approach technology selection with the mindset for creating organizational capabilities (e.g., services, outcomes, and experience) vs. building around functionality that the product offers you will be able to build an analytics framework that can objectively measure the value it provides and achieve progress towards the end goals you want to realize. 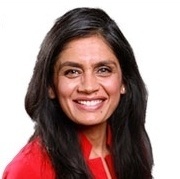 Ms. Chopra is a senior manager with GE Healthcare Camden Group and specializes in developing and managing innovative technology portfolios for value-based and clinically integrated healthcare networks. She is highly experienced in leading information technology and consumer experience strategy development, as well as transformations to enable clinical integration, accountable care, and population health management strategies for organizations invested in innovation and transformation of care delivery models. She may be reached at shaillee.chopra@ge.com.